We must go back to the Paleolithic to locate the first human remains in the area of Estepona. From this period they have been found stone tools themselves Neanderthals, used in hunting or agriculture; there has been thought possible nomadic nature of these populations. The presence of Homo Sapiens Sapiens marks the passage to the Neolithic and, with it, the diversification of economic activities. Thus, agricultural and hunting activities, livestock and grain farming is added. In the area have found traces of various pottery, carved stone tools and axes of this historical period. Copper Age has also left its traces in Estepona, since the area of ? ?Pedregales there are archaeological remains that demonstrate knowledge of the use of metal by its settlers 5,000 years ago. In Castillejos found potsherds style called "Campaniforme" characterized by the decoration with geometric motifs. Along with them they have appeared remains of large containers whose utility was the grain storage, mills for grinding cereals. In the Bronze Age there were also human settlements in the area as witnessed by the findings. And all this must be added the discovery in the area Corominas five dolmens, where weapons, ceramics and ornaments of the people buried in the graves were found. Between the ninth and eighth centuries BC the Phoenicians reach the Malaga coast founding settlements in the area, which is engaged in exploiting the resources of the area and to maintain business contacts with native populations. Is this a time of economic prosperity, since the production of salted fish for export begins to develop around the Mediterranean. From this period are amphorae, dishes, urns and many more found in the settlement of the Tower, next to the river Guadalmansa objects. Currently, very close to this settlement, we find the exclusive development GUADALMANSA with its stunning villas and lush vegetation. After the conquest of the Iberian Peninsula by the Romans, the peoples of this area quickly assimilated the social and economic changes that this implied. The salted fish production industries were reinforced, being famous production called "garum". In Roman times the most important settlement in the area is adjacent to the tower Guadalmansa river, where the remains of the baths find; apparently were part of the Roman city called Salduba. Excavations have revealed the existence in the rooms with floors, mosaics and remains of columns and statues. But with the fall of the Roman Empire, this burgeoning settlement of Saldaba disappeared, as happened with many of the Malaga coast. Thereafter, the populations will be grouped in larger settlements, where the key point will be the basilica, destined to Christian worship, and the corresponding cemetery. Arroyo Vaquero found a cemetery of 30 graves with the remains and personal belongings of those buried. When the peninsula was conquered by Muslims, Estepota becomes an important point: in the settlement of Nicio have been found remains of centuries IX, X and XI. During the caliphate of Abderramán III a castle of which there are remains in the area of ? ?the City of Estepota was built. Estebbuna called, gave rise to the current name of the villa. Because of the continuous wars and struggles between the Muslim kingdoms, the city passed alternatively from the hands of the Taifa kings algecireños, the Almoravids and Almohad Marinid and finally, Nazari. Throughout the centuries, the city remained an important strategic location, given the proximity to the Strait and to the richness of indigenous resources. King Henry IV conquered the city in 1456. The repopulation was complicated because it was near the border with the Nazari kingdom. Hence the decision to leave was Tomase and destroy it, so he could not be taken up and used by Muslims. Now, after the conquest of Granada, and because of its strategic position, the Catholic Monarchs decided to rebuild the castle and reinforce the city with another strength: the Castle of San Luis. At the same time several watchtowers spread along the coast, in order to monitor the territory were built. In 1502, the Castle housed 30 families from various points throughout the city of Estepona, the development of the city took place, first, within its walls, and then in houses built out, with the remains of these. 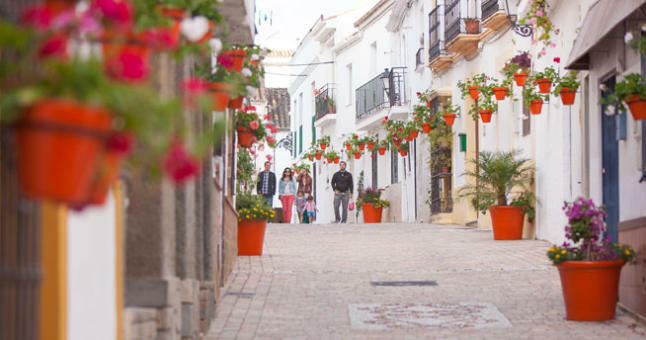 Once the population settled in the course of the centuries, Estepona remained fishing and agriculture. They have produced and produce all kinds of vegetables, vegetables and, especially lemons. agricultural base has now given way to tropical crops, mainly avocado. But in the last two decades of the last century, the dominant industry in the area is tourism. In particular, residential tourism, which has caused a sharp increase in its population, local economy and the gradual improvement of facilities. Thus, construction has become an important pillar of the economy of the municipality. Keep in mind that the boundaries of the territory are extensive, which has resulted in large areas of countryside have been replaced by new buildings, neighborhoods and separate developments of the urban core. Transfer Estepona. Limo Estepona. Car rental with driver Estepona. Cars for weddings Estepona. Shuttle Estepona. 4.8 of 5 based on 1144 votes.